Each year a number of fun community and fundraising events are organized. Everyone's participation is encouraged. The Annual Gala is a fundraising event held in the spring. The evening is the highlight on the social calendar of the school, there is music, dinner and dancing as well as a Live and Silent Auction. This year's Gala will be held on March 23, 2019 at the Mayflower Hotel. The Spring Fair is a community event held on the Saturday after Memorial Day weekend. This outdoor fair is a wonderful time for the community to come together and celebrate the end of the school year. 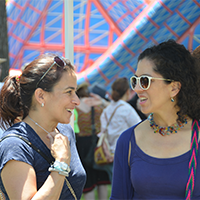 This year, the Spring Fair will be held on June 15th 2019. 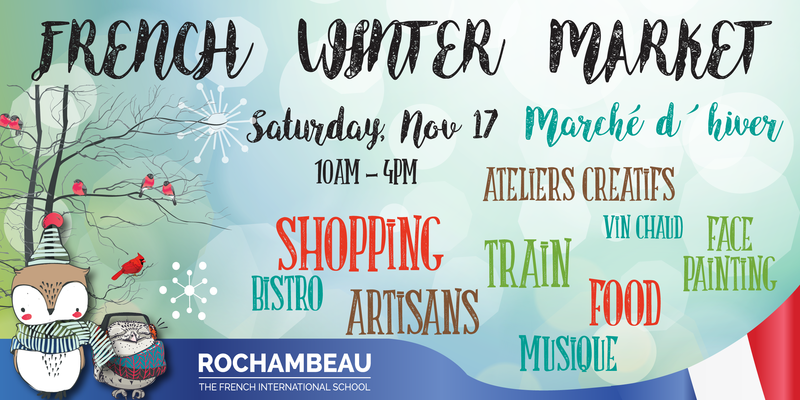 The French Winter Market is an annual fundraising event that consists of a market with vendors (art, crafts, jewelry, clothes…), a food bistro, music, and activities for both children and adults. This year's Winter Market was held on Saturday November 17th 2018. Please visit the event website for more information. Rochambeau welcomes the gift of your time, enthusiasm, and talent! We are extremely grateful to the numerous parents who volunteer. Without this support, many of our events and programs would not be possible. The success of our school is directly related to parent involvement and support. For more information on volunteering, please contact us at communication@rochambeau.org.